This video was taken by the Cape Cod Times in Truro a few days ago. Gray seals (Grey seals?) have taken possession of a sand bar in Truro. The problem is that where seals hang out, sharks aren't far away. Hmmm. 2011 - Big July 4th Weekend Ahead! 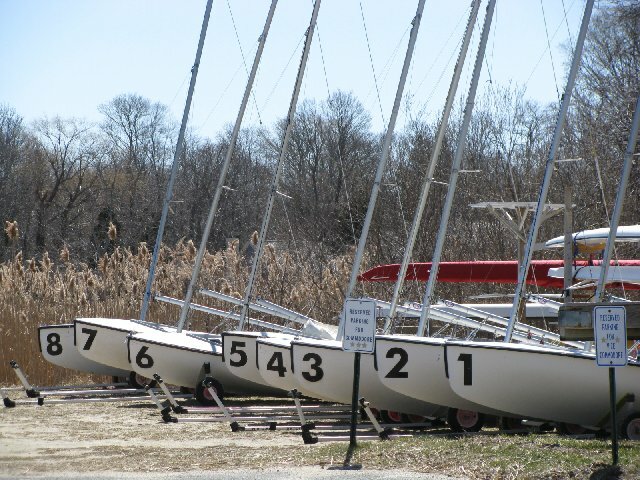 I took the following photo a few months ago at the Orleans Yacht Club, off Cove Rd in Orleans. The photo of a large rock - is a large rock, known as Doane Rock. 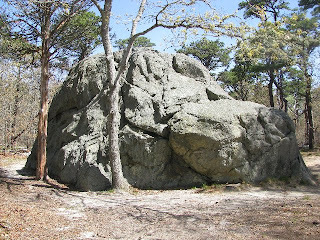 This rock is the largest known glacial rock on Cape Cod, and lies just south of Doane Road about half way down the hill between the the National Seashore's Visitors' Center and Coast Guard Beach. It lies totally within the Seashore and is probably 30 feet from top to bottom. 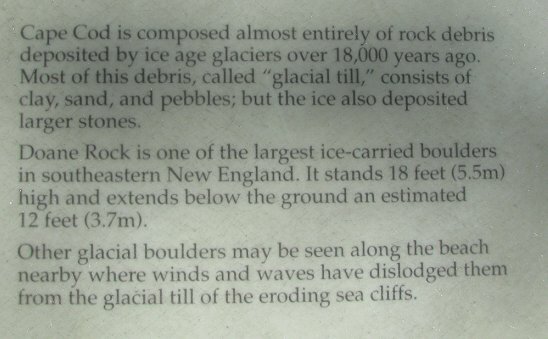 I took a photo of the plaque mounted near the rock. Click on it to see a larger version that you can actually read. 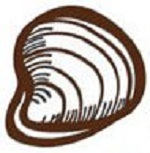 Check out the pamphlet the Seashore published about Doane Rock... here. Doug, the Quahog, Predicts Long Summer! In case you missed it, “Doug,” Cape Cod’s official quahog, showed up to make his annual quahog prognostication for the third consecutive year. His optimistic prediction on this first official day of summer of 2011? A bountiful and specific 12 weeks and one day of sunny beach weather lie ahead! Yeah! This somewhat tongue-in-cheek event was created by the Cape Cod Chamber of Commerce as a way to promote tourism and to kick off the summer in a fun way. The ceremony was held at Aselton Park in Hyannis. It, of course, was followed by a bit of frivolity and drink (including Cape Cod Beer). Photos and a video will be forthcoming on the Quahog Day website...Here. My July Eastham Real Estate Newsletter Is Available Now! My July Eastham real estate newsletter is available now! 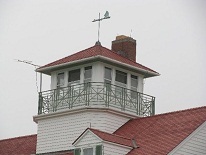 This issue has the results for Eastham through May, Cape Cod's Quahog Day, as well as a new listing. This is my 100th monthly newsletter. My goal now is as it was then... to provide accurate sales and market information about the Eastham housing marketplace, to add commentary and opinion (as appropriate), and to keep it interesting. Travel + Leisure Magazine has named America's best beach bars. The Beachcomber, originally built as the Cahoon Hollow Life Saving Station in Wellfleet, was named as the 10th "best" among America's beach bars. The Beachcomber is open from Memorial Day to Labor Day with entertainment most evenings and serving food for most lunches and dinners. Check out the Beachcomber's website... http://www.thebeachcomber.com/. The America's Best Beach Bars article, from Travel + Leisure Magazine's website can be found here. 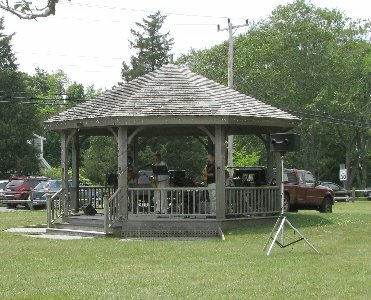 The Eastham Cultural Councils will hold their 13th annual fine arts and crafts show on June 18th and 19th, 2011, at the Windmill Green. There will be over 40 juried artists and crafters on the Green for a show and sale including members of the Cape Cod Artisans Guild and Eastham Painters Guild. There will be a 'hands on' tent where you can create your own masterpiece. There will be jazz and Celtic music, good food, and lots of fun. Cape's Blue Rock Is In Top 10 Par-3 Golf Courses - Worldwide! Naming Blue Rock as #7 on this prestigious list, Passov describes the course as follows, “If you've got a golf itch to scratch on Cape Cod, tee it up at this woodsy, par-54, 1962 Geoffrey Cornish design. The 169-yard ninth remains the standout, with its healthy poke over water to a kidney-shaped green.” Blue Rock is in good company on the list with top courses from Bermuda, Las Vegas, California and even China. Blue Rock Golf Course is an 18-hole par-3 course in South Yarmouth, featuring a 44-room resort, pro shop, lounge, club house serving breakfast and lunch, clinics, golf schools and private lessons. 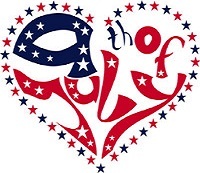 More info and tee times are available at www.bluerockgolfcourse.com. Blue Rock is one of my favorate courses and I play it about a dozen times a season. Today we played the full 18 holes in under 4 hours. Beautifully landscaped, well groomed, and a lot of fun. Check out the Golf Magazine article...Here. Golf Magazine is a Sports Illustrated publication. Now that the 2011 hurricane season has officially started, we need to be paying closer attention to the tropics, the source of all (almost all?) hurricanes. The good news is that Cape Cod, and the whole of New England, only gets a few - and they tend to be fairly weak by the time they get here. Ocassionally, however, a powerful storm comes up the coast and hammers New England. The Cape Codder ran a story they titled "the Dirty Dozen of New England Hurricanes". Go to the Cape Codder website and check out the story. The last 2 of the Dirty Dozen were Gloria (1985) and Bob (1991). Some folks believe that we're 'due'. Ugh! This coming Saturday Wellfleet will have its first annual Harbor Fest. The event will run from 9AM to 4PM, rain or shine. Harbor Fest will be a special day to promote the boating, fishing and nautical activities available at Wellfleet Harbor and Marina. This festival will kick off the summer season and showcase what Wellfleet has to offer as a waterfront community. 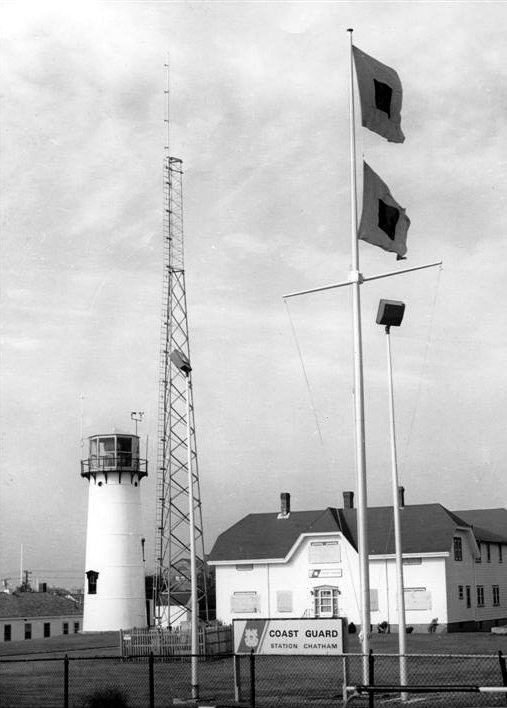 You will find a Nautical Flea Market, food vendors promoting local seafood (including Wellfleet oysters), and many exhibits pertaining to the Harbor, and recreational and nautical-related activities. Come eat and enjoy Wellfleet's unique and fun harbor. Check out the article from the Cape Codder... here. I took this photo this morning somewhere in Eastham. This location is visited by folks looking to have a picnic. What and where is this? I'll publish the answer next week. One World Trade Tower - Another UP-date! Here is a photo, taken Thursday afternoon, of the new tower being built on the site of the World Trade Center. The tower, is now over half its final height and is beginning to take on it's unique shape. This photo was taken from my son's 26th floor apartment in Battery Park City. Click on the photo to increase it's size. Sadly, my son, and his family, is moving out of this apartment shortly, so these photos will soon not be possible. There were 12 homes sold in Eastham in May, up from 7 in April. The median sale price in May was $414K. There are currently 105 active single family listings in Eastham, with an average list price of $570K and a medium price of $445K. The average days-on-market is currently 219 days. 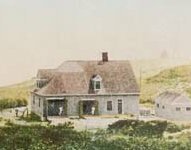 Wikipedia defines a saltbox as a building with a long, pitched roof that slopes down to the back, generally a wooden frame house. A saltbox has just one story in the back and two stories in the front. 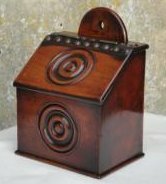 The flat front and central chimney are recognizable features, but the asymmetry of the unequal sides and the long, low rear roof line are the most distinctive features of a saltbox, which takes its name from its resemblance to a wooden lidded box in which salt was once kept. Since the rear of roof descended to the height of a single-story building, the structure was exempt from Queen Anne's tax on structures over one story. Cape Cod is known for its classic Cape Cod style, but the saltbox can be widely found on the Cape. Check out the Wikipedia entry for the Saltbox...here.